In the 1960’s Stanford professor Walter Mischel conducted a series of psychological studies. Mischel tested what is believed today to be the most important factor of success in health, life and business, you guessed it, delayed gratification. 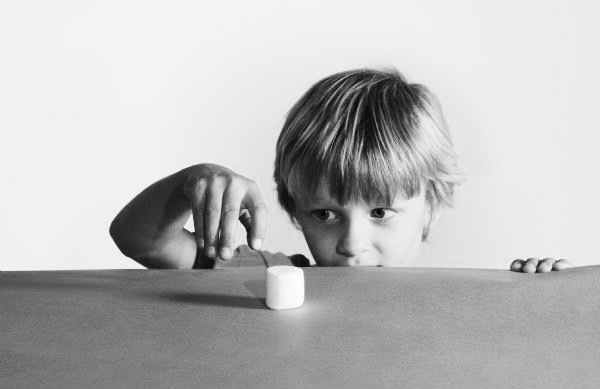 Mischel and his team tested hundreds of children between the ages of 4 and 5, they were given one marshmallow and 2 choices, when the researcher leaves the room the child could either eat the marshmallow, or wait until the researcher returns and receive a second marshmallow as a reward. For 40 years they conducted studies on the same children with some surprising results. The children willing to wait and delay their gratification for the second marshmallow, succeeded and out performed the children who couldn’t wait to stuff themselves in every capacity they were measuring, every time! What does this mean for the modern entrepreneur? The most successful entrepreneurs are the ones who have clarity and long term vision with the ability to make decisions accordingly, which more often than not means delaying your gratification, for example: “My business is doing so well after only 2 years, let’s take that 4 week holiday to Europe” versus “My business is doing so well after only 2 years, i need a break to reflect, how can i achieve that while allocating my resources in such a way that ensures i can travel Europe for 6 months 2 years from now…”It has been proven time and again, the individual willing to delay their gratification with clarity, vision and a set goal, becomes more successful and stable in every aspect of their life. What dictates your ability to delay gratification? According to Mischel and his team, the common denominator that came to the fore is your direct environment, a reliable experience versus an unreliable experience, what can we learn from this? Success in any field comes from being disciplined and taking action instead of becoming distracted and doing what’s easy, it requires you to ignore doing something easier.